Why blend in when you were born to stand out? That’s the angst-ridden conundrum left facing Auggie, a young boy nursing a facial deformity that has essentially forced him into becoming a social recluse from an early age. But when the opportunity to enroll in a mainstream school arises, Auggie is gently nudged out of his comfort zone and into the big, bold world, and if you’re in any way familiar with Raquel J. Palacio’s source material, that poignant coming-of-age story will no doubt ring a bell. We are, of course, referring to Wonder, the 2012 children’s novel that is being repackaged as a feature film under the watchful eye of director Stephen Chbosky. Julia Roberts, Owen Wilson and the so-hot-right-now Jacob Tremblay (The Predator, The Death and Life of John F. Donovan) are all on board to star, with the latter attached to the rather demanding role of Auggie – physically, if not emotionally. Indeed, if Lenny Abrahamson’s unflinching, Oscar-winning Room unveiled Jacob Tremblay as a star in the making, Wonder will lend the young up-and-comer with another complex role to sink his teeth into. Featuring a screenplay by Jack Thorne and Steve Conrad, the Lionsgate vehicle – an Oscar-worthy vehicle, perhaps? – is due to arrive in November, and we now have the touching first trailer for your viewing pleasure. Our advice? Have the tissues on standby. 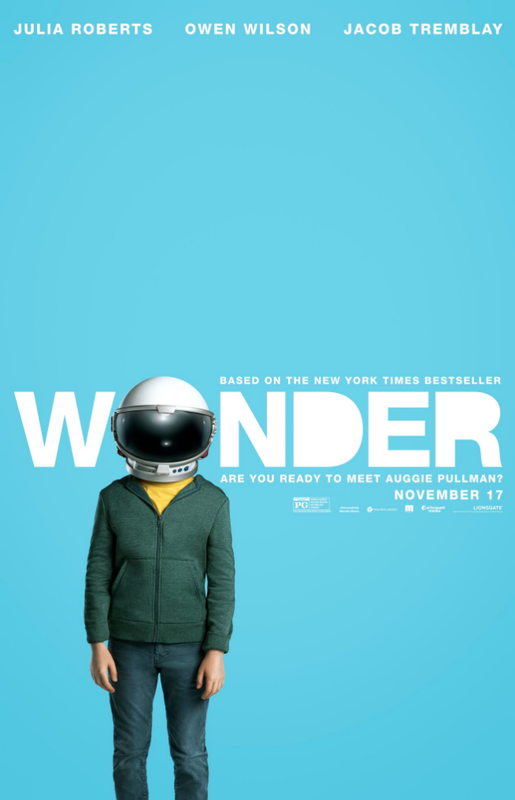 Initially poised to debut in April, Wonder has been slated for November 17th. It now faces the somewhat tricky test of opening under the colossal shadow of Zack Snyder’s Justice League, but in light of this poignant first trailer, we’re quietly confident that Lionsgate’s adaptation will be able to carve out an audience to call its own this fall. Born with facial differences that, up until now, have prevented him from going to a mainstream school, Auggie becomes the most unlikely of heroes when he enters the local fifth grade. As his family, his new classmates, and the larger community all struggle to discover their compassion and acceptance, Auggie’s extraordinary journey will unite them all and prove you can’t blend in when you were born to stand out.